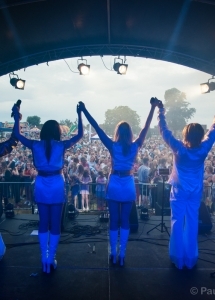 This Abba tribute Band has over 19 years of experience with performing in the UK and Europe and is one of the UK’s number 1 Abba Tribute Bands. The singers and musicians are incredibly talented and offer an authentic, captivating tribute to one of the greatest bands of all time. The band members wear replica of Abba’s costumes, sing great harmonies, use a hint of humour and let the audience participate. This tribute band is a fantastic way of entertainment for any occasion. The show caters specifically to your event. They offer different options of sets to choose from, which will make the performance truly personalised.